Peugeot is on fire. 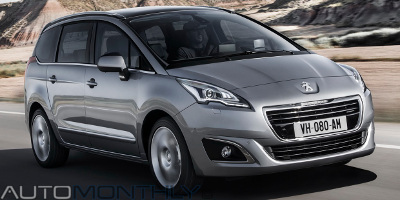 First they showed the 308 R, then the 3008, after that the 208 Hybrid FE, and now they revealed the facelifted 5008. The biggest changes happened on the front of this compact MPV, which now follows the same design language used by more recent models of the French car manufacturer, like the 208 and 308. Peugeot is going to bring many new cars to Frankfurt. The latest new model is the 208 HYbrid FE, a concept car that wants to keep the performance of the regular 208, and improve the fuel consumption and CO2 emissions to never before seen values. This is a hard task, but Peugeot believes they managed to do it. 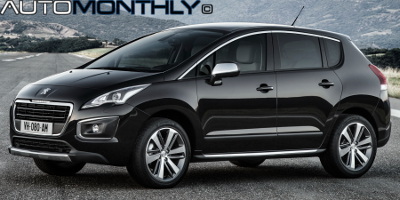 Some time ago, Peugeot revealed the facelift of the Chinese 3008, and at that time we thought this was coming to Europe, but it seems that isn't true. Peugeot made several changes that give it a unique appearance as compared to the Chinese model, at least in relation to the front, the rest is a different story. This is a bit strange, when we all thought that Peugeot was going to show the GTI, they go direct to the top of the range, 308 R. And this is looking promising. 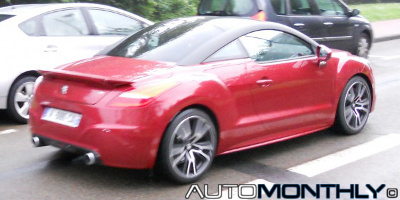 Almost all the sheet metal of this red and black car is new, with the exception of the roof and tailgate, and the powertrain is borrowed from the new and very fast RCZ R.
What you have here are the first official images of the fastest Peugeot RCZ manufactured until today. The car was going to have its debut at the Goodwood Festival of Speed this weekend but someone decided they better show it now, and it looks really good, specially because it looks pretty much like the concept, with the obvious exception being the color scheme. The French racing driver needed just 8m13.878sec to completely smash the previous record of 9m46.164sec, set by Rhys Millen last year. The New Zealander driver took almost 44 seconds off his own record, still he ended second, 49 seconds behind the winner (9m02.192sec). Impressive. See the POV video below. 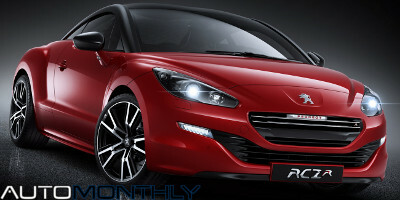 Peugeot introduced at last year's Paris Motor Show the Peugeot RCZ R Concept, and soon became one of the most anticipated cars of this year. Luckily, we will not have to wait much longer because Peugeot is putting the finishing touches on this little lion, which will be officially unveiled at the Goodwood Festival of Speed that will begin on July 12. Supposedly, the new Peugeot 308 should only be presented tomorrow, but as is usual in such cases, here are the first images of the Ford Focus and Volkswagen Golf rival. 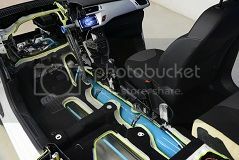 The design is interesting and the exterior distances itself enough from the other models of the brand, but the interior is similar to the 208, with the small steering wheel and the instrument panel placed in a higher position. 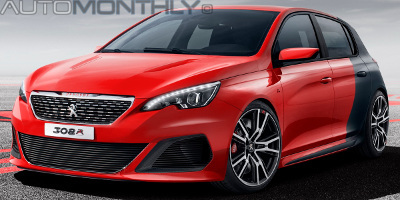 A French magazine recently announce on their website they will show firsthand official images of the next generation Peugeot 308, together with a small teaser (not the real deal) that looks a lot like a few images that appeared today on Facebook, revealing a few parts, like the front grille and head lamps, of the Golf and Focus rival. 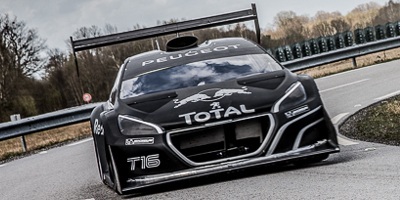 The 208 T16 Pikes Peak, which will be driven by the nine-time world rally champion Sébastien Loeb, finally saw its specifications revealed by the French brand. Peugeot borrowed the also French driver from Citroen, and have one objective, win, but in the process i am sure they have made a lot of engineers really happy. This is getting annoying. Most people that read my blog, and this applies to the vast majority of car blogs, want to see pictures, know about the power and torque the engine produces, how many screens and how big they are, and occasionally there is some interesting information about a new technology that is used in the vehicle in question. Peugeot only fulfilled one point. 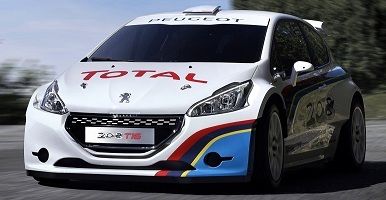 Peugeot has officially revealed that they are going to bring a highly modified 208 T16 to race at the 2013 Pikes Peak Hill Climb. The French company announced on the same day they will also participate in 24 hours of Nürburgring with two cars - 208 GTi Peugeot Sport - and eight drivers, four for each car. 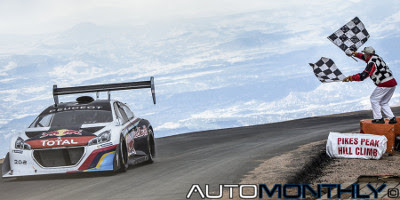 Last week Peugeot announced that it will once again compete at Pikes Peak in the Unlimited class, one of the most important hill climb events in the world, with a very special 208 T16. 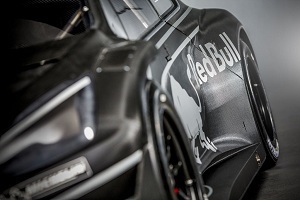 The event will take place on June 30, and will be the first time the nine-time World Rally Championship (WRC) winner, Sébastien Loeb, races in this event. If you live in Portugal and you have a Peugeot GTI in dire need of being restored, Peugeot will do this in a completely free way, you just need to participate in a small contest and if you are the winner or GTI will look completely new. 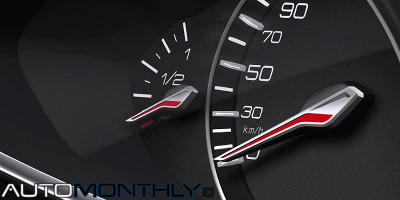 The contest is limited to the owners of the GTI version of the 106, 205, 206, 306 or 309. 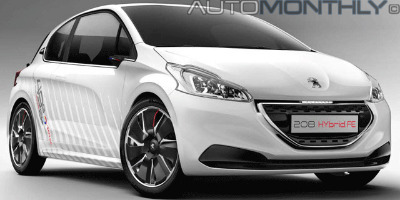 The French magazine Autoplus also revealed in their latest edition two new renders of what the future Peugeot 308 could look like, based on several spy shots that appeared online in recent weeks. The car has some details reminiscent of the Volkswagen Golf, which is a good thing because the German car is the one to follow due to its success. While most carmakers use hybrid systems with batteries, the PSA Peugeot Citroen Group intends to follow another path, using an all-new technology combining petrol internal combustion engine and compressed air storage, "Hybrid Air". This is a compact, lightweight electric vehicle, with only 2.81m long, it has 3 seats, weighs under 700kg and is considered to be a tricycle because when the car has 2 rear wheels on a track with less than 460mm it is considered as a single-wheel axle. 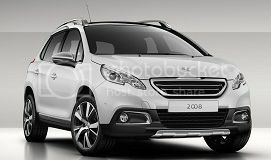 The French website and magazine L'argus announced yesterday that it would reveal the official photos of the French company new model, the 2008, next monday. But it seems that someone discovered them and have now reached the virtual world. 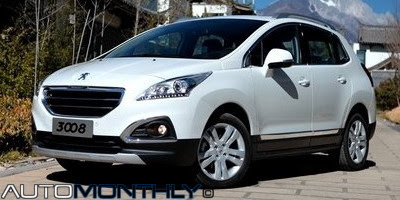 Almost every week new images of the facelifted Peugeot 3008 appear, but this time it seems they are official and the car was now presented to the public for the Chinese market. 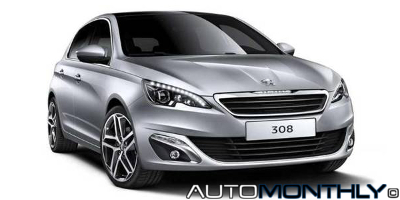 Peugeot 308 II - Renders, plus some info. Seems the new C-segment car from the french manufacturer will keep the same name as the model it is replacing. The first digit represents the segment of the car with the last pointing to the market segment.